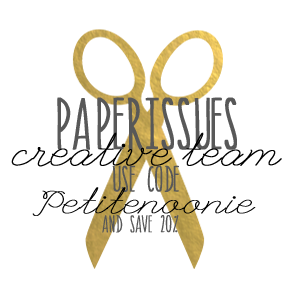 There is a new issue at Paper Issues, Prints Charming sponsored by Scrapbook Circle which is encouraging us all to cut into those pretty papers that we buy and then hoard and never use. I am a huge, huge Crate Paper fan. 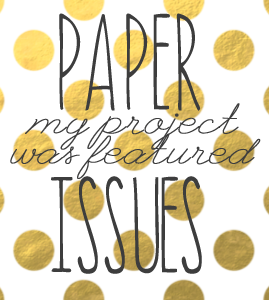 That wood grain paper and floral paper from the new Craft Market line are some of my most favourite papers ever. For the most part, I never hoard, I always cut into my favourite papers, but only a little bit. :) It took a bit of nerve for me to cut a huge piece of that wood grain paper. To balance out the strips of patterned paper along the left, I had a little embellishment sneeze all over the right side using Crate Paper Craft Market, My Minds Eye On Trend, Pinfrresh Studio Up in the Clouds, and Elle's Studio Cienna. 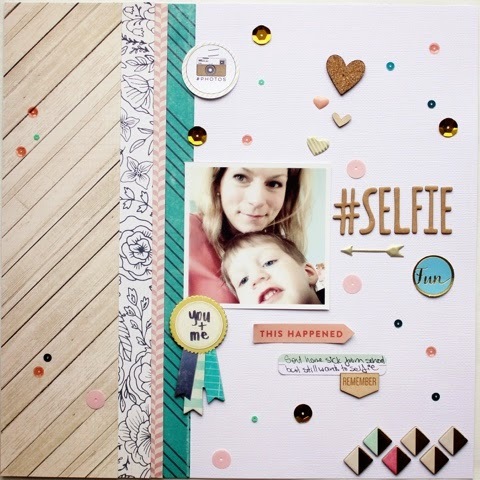 You have until April 26th to link up your project on the Paper Issues blog for the chance to win the March Scarpbook Circle kit. If you need some new goodies, use code 'petitenoonie' to get 20% off your entire order. 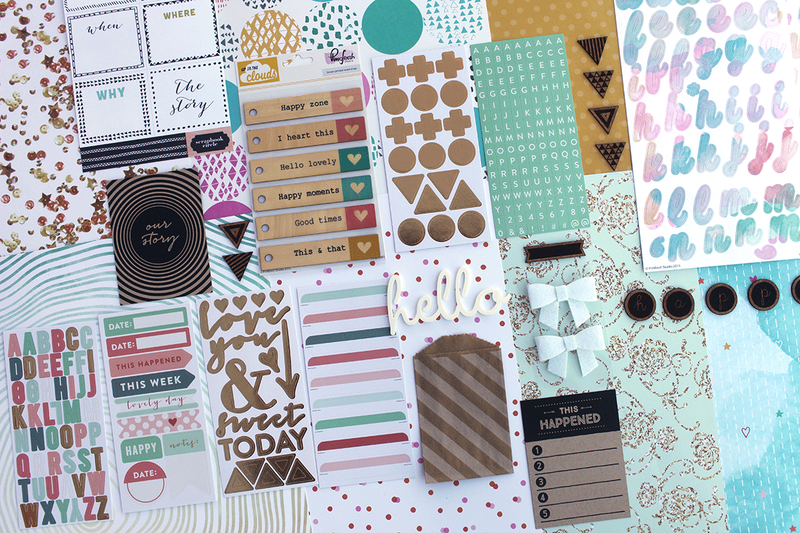 There are lots of new product by Shimelle Laine, 7paper, Pink Paislee, and Dear Lizzy.